Hairy Heel Wart, (Digital Dermatitis), a condition well-known to dairy producers, is quickly becoming an issue for beef producers as well. According to Dr. Jan Shearer, ISU Extension Veterinarian at Iowa State University, there has been an increase in incidence of DD, causing a significant problem for the beef industry. Topical products have been shown to be effective against hairy heel wart. Products like HealMax, available in a spray or foam formulation, provide feedlot operators with a formaldehyde-free, heavy metal-free option for digital dermatitis. Footbaths containing copper sulfate are widely used in the dairy industry, and can be very effective in cleaning and disinfecting hooves. Feedlot owners are challenged to find the best location for a footbath so cattle cannot jump over or step around it. Copper loading on land can also be a problem. The use of footbath additives can help boost the potency of copper or zinc sulfate, remaining effective even after the bath is heavily loaded with manure and urine, and significantly reduce the amount of copper required for comparable results. HoofMax is a proven chemical additive shown to reduce copper sulfate use by up to 80 percent. 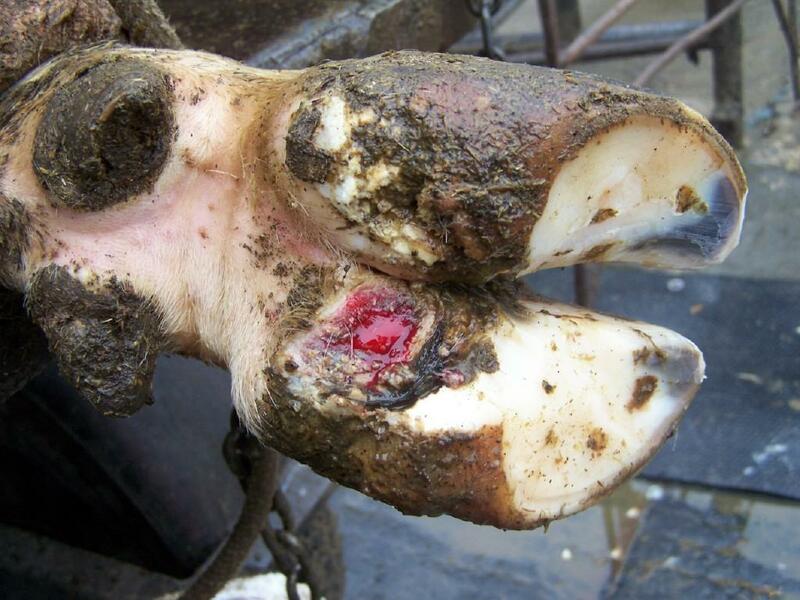 Want to know more about hoof care in feedlot? Contact Agrochem, Inc. today, or your hoof trimmer or veterinarian.